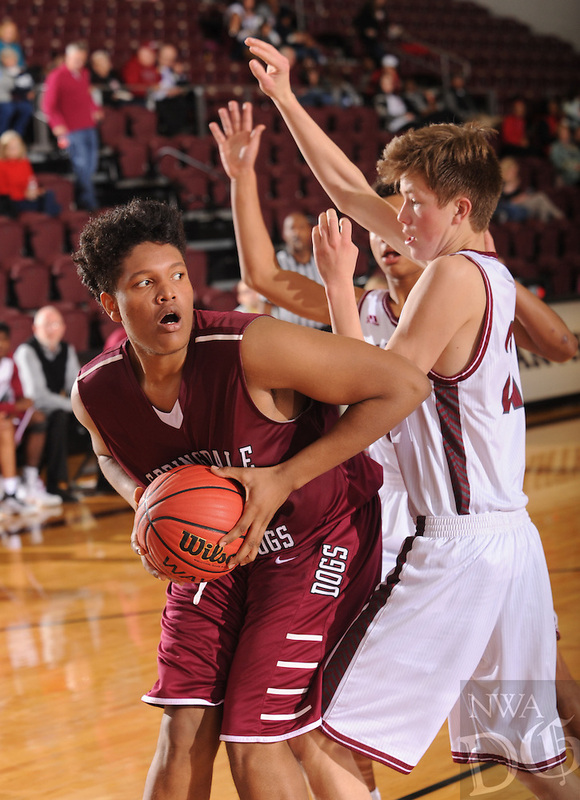 Ishine McFarlane (right) of Springdale makes a post move around Luke Fox (left) of Tulsa (Okla.) Holland Hall Tuesday. Dec. 29, 2015, during the second half at Siloam Springs High School. Visit nwadg.com/photos to see more photographs from the game.